The new AppRadio 4 from Pioneer is now available for purchase from Amazon. The device ships FREE within 2 to 3 business days. Here's an affiliate link with the latest price ($599.99 at the time of this post). 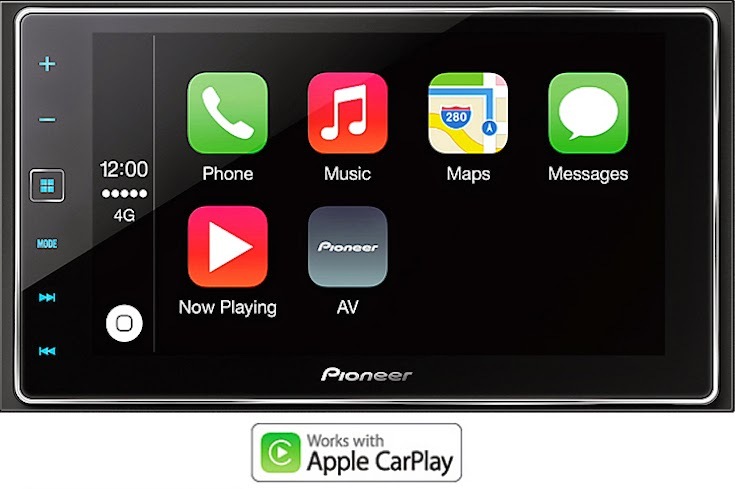 Pioneer AppRadio 4 (SPH-DA120) Smartphone Receiver features a 6.2" Capacitive Touchscreen Display, Apple CarPlay, Bluetooth, Siri Eyes Free, Android Music Support, Pandora, FLAC Audio Support and On Screen Access to Compatible Apps. The listing is from "Sound of Tri-State Inc." which is listed as one of the authorized dealers by Pioneer. Sales tax may be added based on your location in the United States. Shop away! I want to know if I connect one iPod classic 160gb with all my music in one usb and my iPhone 5 in the other usb, I can listen music from iPod and use maps as CarPlay app? All together.